Now before you say oh this is just one of those “make money online” offers that get splashed around the internet it’s not. This is the real deal. The principles of Dotcom secrets are applicable to any business online, offline and otherwise. In fact, Russell even walks you through how he first looked at traditional offline business structures and saw certain patterns and methods in place which went on to become the teachings of this amazing book. I can hear you sitting there saying to yourself but wait it says “Secrets to Growing your company online”. I can’t do that I don’t have the skills, what am I a programming nerd? Thankfully Russell already thought of that by building the amazing online sales funnel building tool Clickfunnels. He even went a step further and created a whole suite of training to get you up and running fast and without any tech skills required. 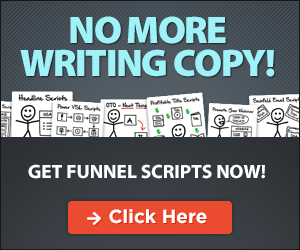 He called that Funnel Builder Secrets and you can check it out here. If you have tried marketing your business online and failed. This is for you! No idea how to get started and want an easy way to understand everything you need to know fast? This is for you! If you have a website that costs you money and generates very little in return. This is for you! Already making sales online but want to double down and take it to the next level. Guess what! This is for you! There really is something in here for everyone. Seasoned marketers read this book and are blown away by the things they take away. At the same time business owners who are completely new to online marketing and business learn so much so fast. What is inside Dotcom Secrets? Starting out with the concepts and structures you need to build your sales funnels to generate visitors, leads and buyers Russell walks you through the formulas that can be applied to any business to grow online. He then goes on to show you the importance and opportunity that most business owners overlook which you can leverage to increase lead conversion, sales and customer retention. Next up he shows you how to find out whats already working in your industry and use that information to model your funnels fast so you can skip past the test & fail cycle and get started now. Lastly, it even covers types of funnels, how they can be applied to various situations and how to write awesome sales copy to win over your audience. If that is not enough the book is free. Wait what now? Yep if you buy it from an online bookstore it will cost you but if you click below Russell will give you the book for free. You just cover the shipping and he will send it right to your door.